Erich began his ag career at a northeast Indiana ag retail dealership after graduating from Purdue. His focus was on growing grid sampling and variable-rate application for multiple locations. 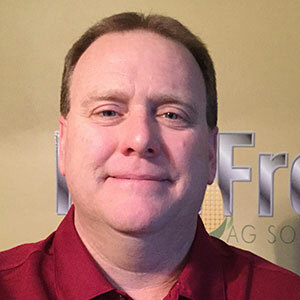 In 2001 he moved to NK Brand Seed as a district manager, and in 2006 accepted an ag sales position at a John Deere dealer, focusing on AMS strategies. In 2014, he founded ForeFront Ag Solutions LLC. as an Independent Crop Consultant business in North East Indiana.